After some initial unease, Chris Washington (Daniel Kaluuya) and his girlfriend Rose Armitage (Allison Williams) agree to drive up to her family estate for the weekend, where Chris will meet her folks for the very first time. Apart from the typical pressure of making a positive impression, the bulk of Chris’ anxieties stem from the fact that he and Rose are an ‘interracial’ couple. 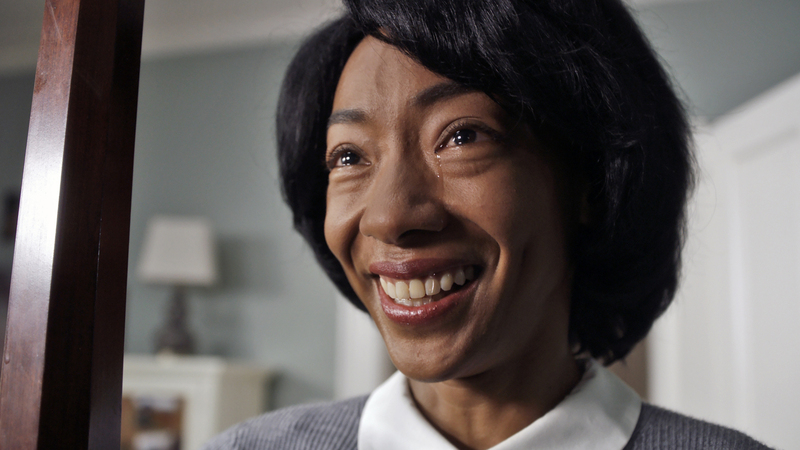 Imagine, then, the inner turmoil upon arriving and realizing that the black groundskeeper Walter (Marcus Henderson) and housekeeper Georgina (Betty Gabriel) are acting rather odd, as if stuck in ancient slavery-type roles. The situation kinda improves after being introduced to Rose’s parents, psychiatrist/ hypnotherapist Missy (Catherine Keener) and neurosurgeon Dean (Bradley Whitford), who assures Chris that things aren’t as troubling as they may’ve initially seemed — the keepers having served his late parents and are now more like members of the family. When Rose’s brother Jeremy (Caleb Landry Jones) arrives, practically worshiping Chris’ ethnicity, things get weird again. While calling his best bud, TSA Officer Rodney ‘Rod’ Williams (Lil Rel Howery), to vent some of his frustrations, guests start rolling up for the Armitages’ annual get-together, where Chris is startled to find ‘another brother’ in Logan (Lakeith Stanfield), who dresses and acts as if he were from an earlier part of the century. With Chris torn between his unsettling suspicions and his desire to impress Rose, one fundamental question arises, and that is, will he last the entire weekend or ‘get out’ early? Now, that’s what I call transfixing! Are you a horror fan? Do you keep tabs on what makes waves? If so, you may already be familiar with Get Out, the film being labelled as one of the year’s biggest success stories, having cashed almost $200 million in the U.S. (at the time of writing my review) off a barely-there Hollywood budget of $4.5 million. Recently, there was even a hilarious social media trend ‘The Get Out Challenge’ inspired by the groundskeeper’s iconic Terminator-like nightly run. But that’s not all, Get Out has kick-started some intriguing discussions about its theme of racism, but not the usual, overt Spike Lee type, seen in, say, Do The Right Thing (1989), in which various cultures clashed right in the melting pot of America — oh no, Get Out sports a different undercurrent, a kind of fetishisation. See, the upper class white folks in the neighborhood admire and envy (quite literally) the outer qualities of our protagonist, Chris, without ever getting to know much about his background. Being a horror film, or as I’d rather refer to it, a comical psychological thriller, there is a deeper, sinister reason for this, one which eventually leads to a ‘mad scientist’ twist reminiscent of those b-grade narratives from the ’60s. Weird? Sure. Appropriate? Why, yes actually. 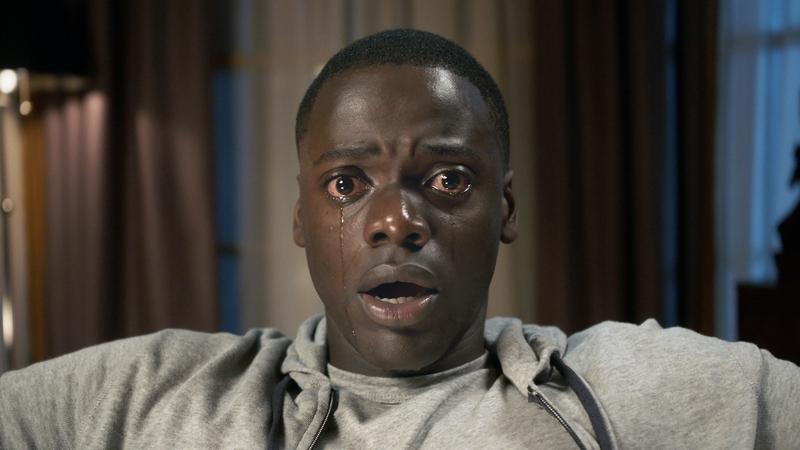 I’m delighted to report that Get Out is more than just the sum of its budget, hype and ideas, the movie a well-oiled machine, with a polished smoothness and restraint that suggests we are entering a new, promising phase of horror/ psychological thrillers — simply look at the recent patiently paced, yet ultimately rewarding compatriots The Conjuring 2 (2016) and Split (2017). Blumhouse Productions, which was behind the latter and this flick, certainly seem to be leading the way. If their upcoming projects are up to the standard of this slate, then keep ‘em coming, I say. At the core of Get Out’s success is the inspired writing and confident direction of funny man Jordan Peele, who makes his feature debut here. Peele has gained a bit of a following through his comedy duo Key and Peele (2012 – 2015), although I must confess to only being familiar with their 2016 film Keanu, which was partly a spoof of the Keanu Reeves sleeper hit John Wick (2014). Nevertheless, it’s safe to say there’s a delicate balance at play here, with filmmaker Peele never slipping into big statements about the black American experience or diving too hard, too fast into the horror — after all, what’s more terrifying than getting an inkling that something ain’t right? Think the slow simmering paranoia of Rosemary’s Baby (1968) and more so The Stepford Wives (1975), which Peele has acknowledged as a strong influence on his feature. While some may find this aspect frustrating, craving something a bit more overt, I truly feel that Get Out has a lot to offer, so much so that it’s likely going to win these folks over, too. One of the most joyous aspects of Get Out is when it cuts away to Lil Rey Howery’s Rod. From the get-go it’s clear this guy is the comic relief, but he also becomes the outside voice of reason, even if he allows his imagination to stretch beyond what Chris is willing to consider. As the plot developed and we flip back over to Rod (who’s usually on his phone), I could almost feel the audience collectively lean in to catch the next joke — that Lil Rey performs his role with genuine warmth and sincerity, it’s no surprise that, at one crucial moment, he even elicited cheers. The rest of the cast show a great commitment to the tricky, subtle nature of the material — from the firm, yet inviting Bradley Whitford, The Cabin in the Woods (2012), and his onscreen partner, the always dependable Catherine Keener, The 40-Year-Old Virgin (2005), to the effortless charm of Allison Williams, from the hit HBO series Girls (2012 – 2017), and the ‘guy next door’ presence of leading man Daniel Kaluuya, Chatroom (2010). Though, special mention must go to Betty Gabriel, The Purge: Election Year (2016), who managed to effortlessly switch between uncomfortably funny and plain creepy. The performances are enhanced by the excellent shot choices by Aussie cinematographer Toby Oliver, Wolf Creek 2 (2013), and the sometimes folksy soundtrack headed by first-time film composer Michael Abels, creating that ‘not quite right’ tension one moment then easing it the next, all this complimented by a smooth rhythm by editor Gregory Plotkin, Paranormal Activity: The Marked Ones (2014). 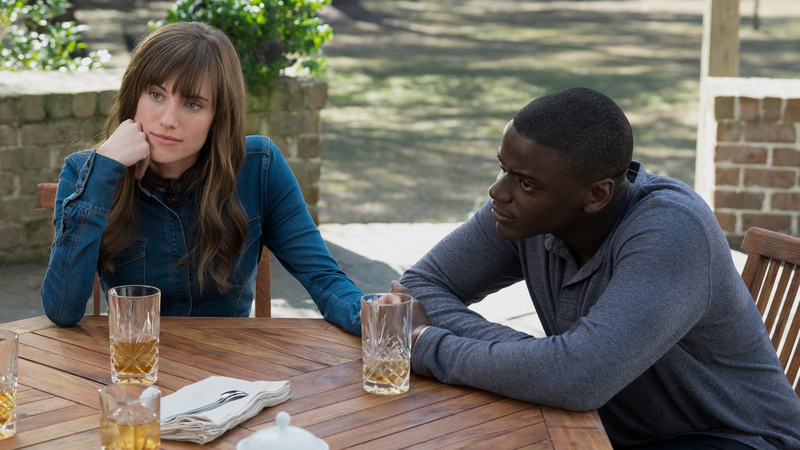 To sum it up, Get Out is a rare experience, a film that manages to say what it needs to without ever neglecting the genre from which it cheekily toys with. Needless to say, if the flick wasn’t already on your radar, believe the hype and ‘get out’ to it.